Coachella kicks off in Indio tomorrow and with it comes about a billion brands looking to woo Millennials by putting up lockers, building fake gas stations, and slingin’ wine in cans. Of course no event these days is complete without an automobile sponsor of some kind, so enter BMW and their custom painted wolf and flame mobile. 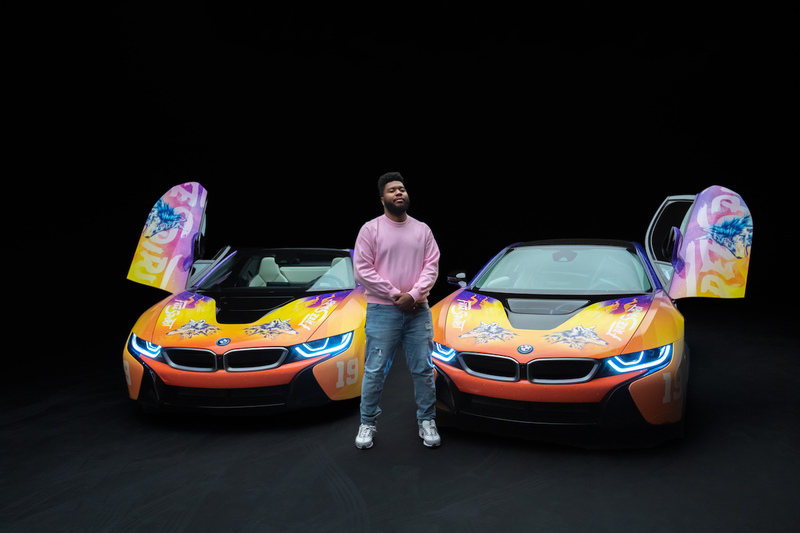 The car company has a special design for its BMW i model for BrandChella season, inspired by the current album cover of Khalid, who will be performing at the fest and should be easy to spot should he take this ride for a spin to the La Quinta In-N-Out Burger this weekend. ‘I love road-tripping, hopping in my car and driving back home to El Paso is 12 hours each way from LA. 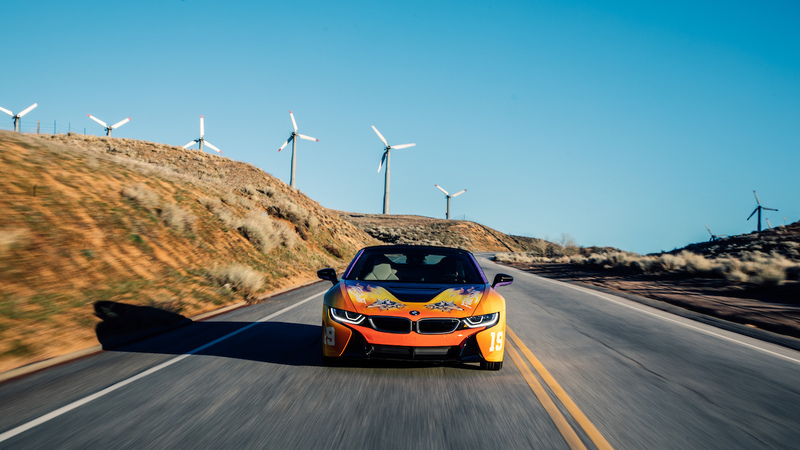 To me, BMW, especially BMW i8, is the embodiment of freedom on the road. I really feel like a free spirit when I’m driving and listening to music. I love making music that you can crank up and drive to with the windows down’, said Khalid in press release. 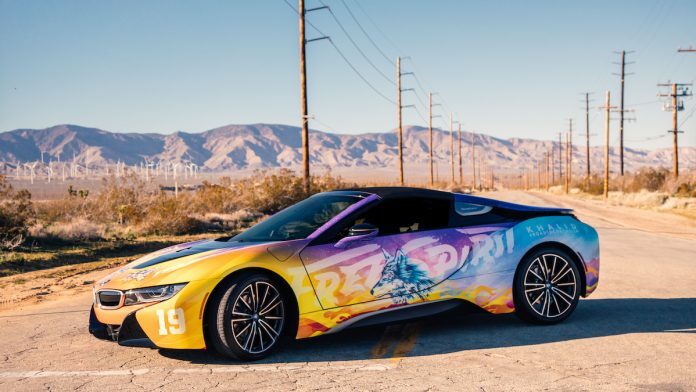 BMW also proudly proclaims they have rounded up influencers, including Paris Hilton, to post about the brand during the weekend and exclusive merchandise will be available for purchase at the BMW of Palm Springs, which will also have live music and a food truck. No times for the event have been released.